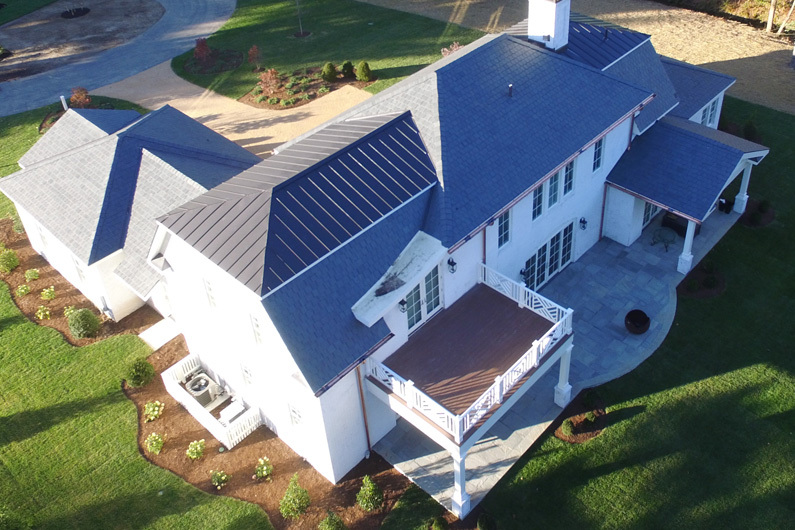 This large residential slate roof in West Virginia was installed using the SlateTec weight-reducing slate roof installation system. Vermont Gray Black was the selected color using 12” random width (RW) standard grade (1/4″ -3/8” thickness) slates. 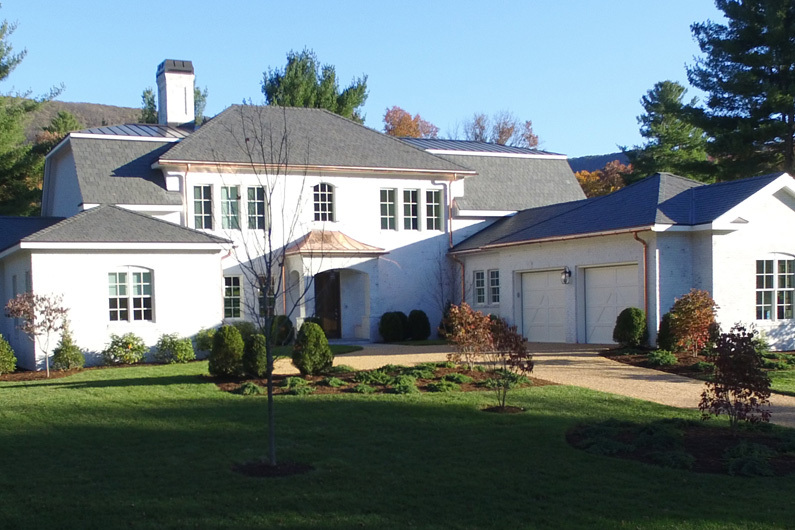 All of the Vermont Gray Black slate was drawn from Greenstone’s Briar Hill quarries. 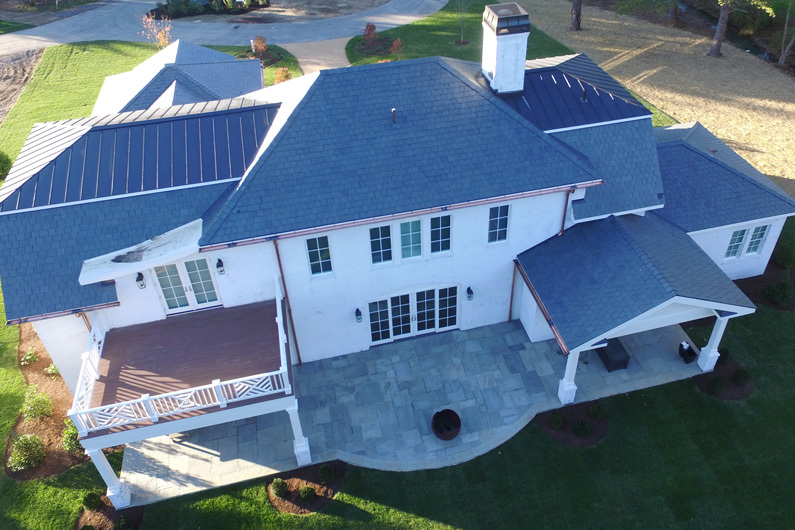 SlateTec is an innovative approach to installing a genuine slate roof that provides the benefits of a traditional installation plus reduced roof weight (under six lbs per square foot) and a patented rugged interlayment system. Read all the benefits of a SlateTec slate roof installation here.